Riptide hits the ground running and never lets up. Like a short story, the novel begins in the middle of a scene of great tension, wasting no time getting the reader into the center of the action. 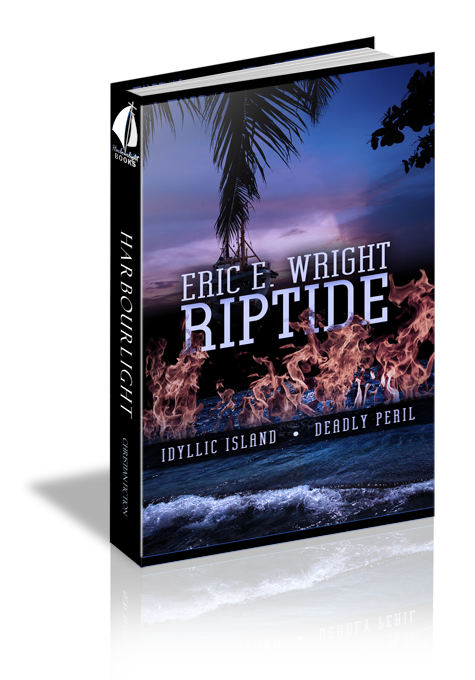 Somehow the author is able to sustain the tension throughout the entire novel: I found myself looking forward to getting back to the book so I could resume running alongside the likeable characters in this high-octane adventure. The book’s title refers to turbulence on the sea caused by abrupt changes. The main character’s previously calm and predictable life has likewise been torn asunder by developments beyond her control. Facing a sudden divorce, Ashlyn Forsyth displays all the ambivalence of someone going through an emotional trauma. We join her in a series of intense trials and temptations as she is pushed almost beyond her limits (divorce is the least of her immediate troubles). We see the human ability to survive impossible circumstances with God’s help as she leans on her Savior during desperate times. The ocean theme runs throughout the novel with a rugged shrimp boat captain coming alongside Ashlyn during her time of deepest need. I was able to visualize the scenes while reading them which made me think the book would translate well to film. I found myself wishing I knew people like Valerie, the inquisitive stranger, and Lottie Jane, the salt-of-the-earth waitress at the Shrimpboat Cafe. Ashlyn’s struggles with her own mind, her relationship with God, her attraction to a new man, all brought on by a frightening series of events not of her own making, provide an enthralling read.